Scheduled tours run from April to October on Tuesday, Thursday, and Saturday. The limit is 8 people in a group. Private tours are available daily. 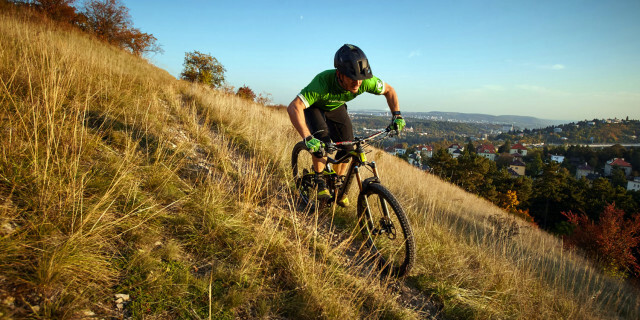 Meeting point is the bike rental office in Vratislavova 508/3, Prague 2. 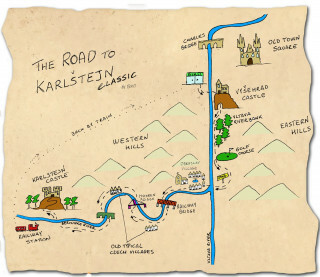 The tour starts at 9:00 a.m. On the way back we’ll take a train from Karlstejn and the tour will end at our shop. Please note that the pace will be tailored to the slowest rider. The interior of the castle is nice but not extraordinary, its beauty is in the external part so we recommend taking the tour even if the castle is closed. Karlstejn castle is open to the public: From March to June and from September to October every day except for Monday. July and August every day. The payment is fully refundable if you cancel up to 48 hours before the tour. For later cancellations there is no refund. 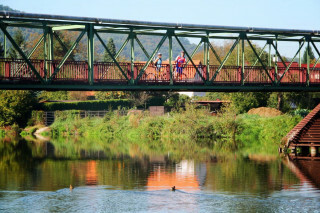 Why visit a castle in a car when you can go by bike through the countryside, along rivers, and past pubs? 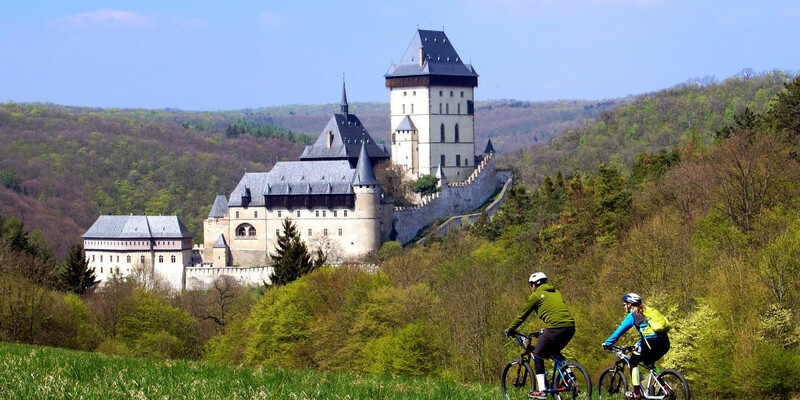 This family-friendly biking adventure to Czech Republic's most impressive castle introduces you to a new side of Prague not seen on a city map. 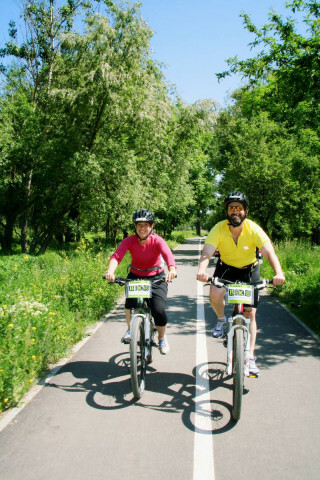 Starting at our office in central Prague, we leave the city behind and dive into the green world of charming riverbanks, small towns, and flowering meadows. 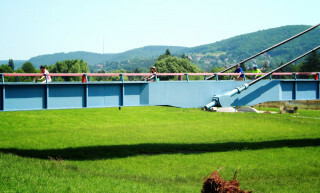 As the mostly flat, paved 35 km (19 miles) route follows the Vltava and Berounka rivers, we cross multiple small bridges. To refresh during the ride, we stop in a local bakery with various authentic sweets. On a warm day, you might even take a cooling swim in the Berounka River. The banks of Berounka River host several cottages in nature, where Prague citizens take refuge from the capital over the weekend. 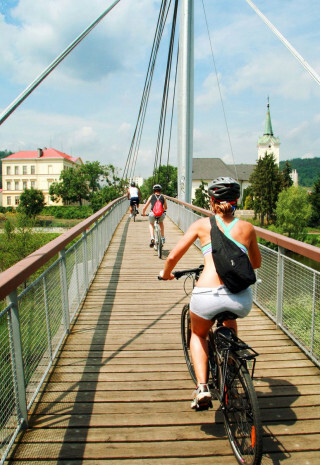 This cycling path is quite popular, so there are numerous pubs along the way to taste the famous Czech beer. Even though the usual route is mostly paved, in case you like a bit of terrain, we will be happy to take you on those routes. When we arrive, it’s hard not to be stunned by the magnificent view of the Karlstejn Castle. 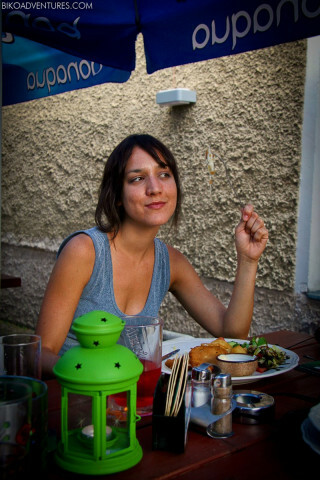 You can either take the 55-minute castle tour (170 CZK, not included in price) or rest in one of the many pubs with a cold beer and delicious Czech meal. We end the trip with a nice 40-minute train ride back to Prague. 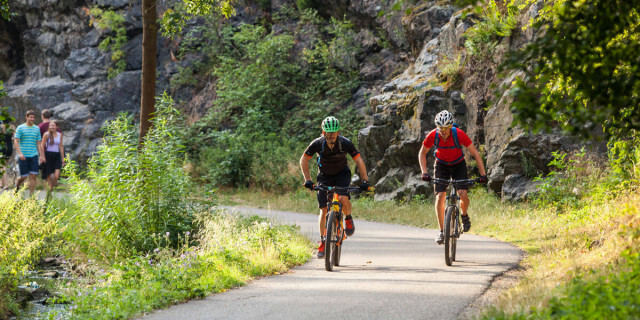 Private tours can also decide to return on their bikes, turning it into a full day journey. 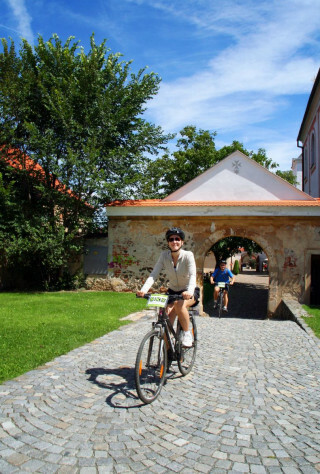 All things considered, if you wish a relaxing bike ride to explore the surroundings of Prague and to see some of its historical jewels, this trip is the way to go. 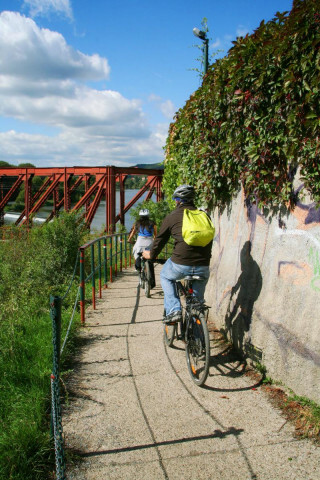 Hop on a bike and wind down riverside routes to get to know the real side of Prague. Relaxing, rewarding, and remarkable, this experience is one to remember.